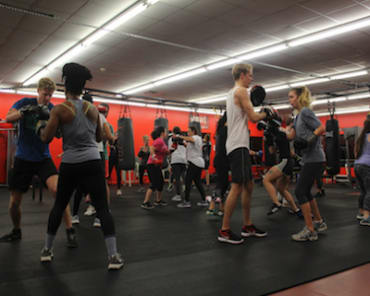 Kickboxing is a great workout and a great sport, but there are some drawbacks for you to consider that may help you shed light on why, even though co-owner Lissa Keppner is a former Muay Thai fighter and kickboxer, we don’t provide that type of training. We wanted to have the highest quality Boxing Training around and we have done that because we have specialized instead of generalized, but because we want our clients to have long term success is also why we have kept our gym a pure Boxing Gym. Everything you do movement and exercise wise is going to have inherent problems and have a potential for injury. That’s just a fact of life, but we must weigh the risk of rewards for anything we do to determine if it’s going to be something that is worth for the long term. While kickboxing is an awesome sport and an awesome workout, there are some drawbacks to it that can be overcome by a solid Boxing workout. About 30% of Americans experience lower back pain, and kickboxing probably will not be the best option for them. If you are already experiencing issues with your lower back, the amount of strain that throwing kicks can put on this area of your body, as well as your hips, is not worth the exercise benefits. 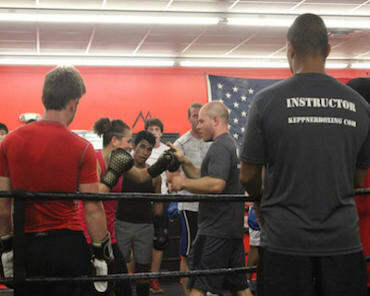 A lot of People that take our Boxing classes are runners. Boxing is a great cross training workout for runners, however, If we were to incorporate kicks, that could have unintended negative consequences. Kicking a bag with the shins can cause damage to the nerves and tendons that run across the shin that can cause an issue when you walk or run also any kicks with the foot can agitate or even trigger inflammation that may end up interfering with running or everyday life especially as you begin to age. Because of these reasons and more, we have a continued increase in clients that come to us who previously participated in kicking arts and loved it, but can’t any more. 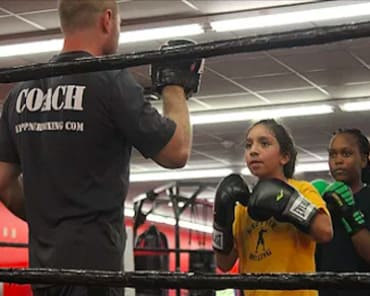 They realize you can actually get just as good of a workout, if not better, with Keppner Boxing because of the High Quality programs we provide that increase conditioning, tone your entire body and teach you real Boxing technique. The only thing some of them regret is that they didn’t start with us sooner!